Is your boss fighting against your idea to hire a professional photographer? When you say you want to get professional shots of that fantastic project your firm is working on, does your leadership team ask, “Can’t you go and shoot it?” If you get pushback on spending money on photography, you need to buckle down and get your reasoning in order to sway your boss. People remember things they see better than words. When you think back to 9/11, what do you remember? When this was asked at a recent business group luncheon I attended, people remembered the visual imagery over any particular article on the horrific event. When people hear information, they’re likely to remember only 10% of that information three days later. However, if a relevant image is paired with that same information, people retained 65% of the information three days later. Many firms sabotage their brands through bad photography. They don’t think about how imagery can help position their firms in the minds of their prospects. When looking at proposals or your website, people make an immediate judgment on your brand. Does your firm come across as forward-thinking or stodgy? Do your team headshots look like they were shot a few decades ago at Olan Mills? Or worse — like they were taken with a desktop computer camera? Are your project images subpar with your peers? Are you taken off the short list or not even considered for the job because of how your brand compares to your competitors? Gather competitor marketing materials and website screenshots. Share these with your firm’s marketing pieces side by side. Which images grab your attention or tell a better story? Well-composed images can help tell your story supporting your reasons to believe the claims that your firm makes. 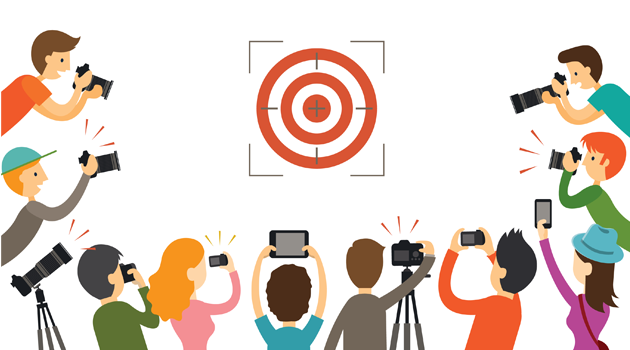 Keeps other projects moving—Quantify your time to go and take project photos, head shots, community and any other shots you may use in your marketing. How much money is the company spending for you to shoot it? Note any projects you can’t get to because you are driving across town to capture progress on a job site. Better equipment and accessories to avoid distracting shadows or odd color. Vast experience composing photos in short timeframes getting several shots quickly. Techniques to make staff and field crew relaxed while taking photos eliminating tense facial expressions. Check photos to see if images are blurry until after coming back to the office and lose the opportunity to capture a key moment. Be aware of details that will distract such as jackets bunched up or unsightly items in the shot such as wires, trash, or busy backgrounds. Remove any confidential information showing in the image area that may elicit bad publicity. Have the camera setting set to a high-resolution meaning the photos can’t be used for the intended purpose because the images will be grainy or pixelated. Repurposing photos—Investing in key shots that show the world that you live up to your claims can typically be repurposed for more than one marketing effort—social media, print, proposals—and for the local or national media to use. If your dream photography budget is not approved, start with a smaller budget and see if the success of an initial investment in photography may help grow your photo budget. If you can’t get a small budget approved, ask if the firm will pay for photography training in person or online. In today’s world, good photography is an expected, minimum requirement for competing professional firms. I’m not implying that photos taken by you or your crew are never appropriate to use. However, if your images are awkward and/or poorly conceived, you may have trouble convincing your prospective clients that you are truly experts in your field and can handle their multi-million dollar projects. Having a budget for photography will help your firm create strong visual imagery that sticks with clients.